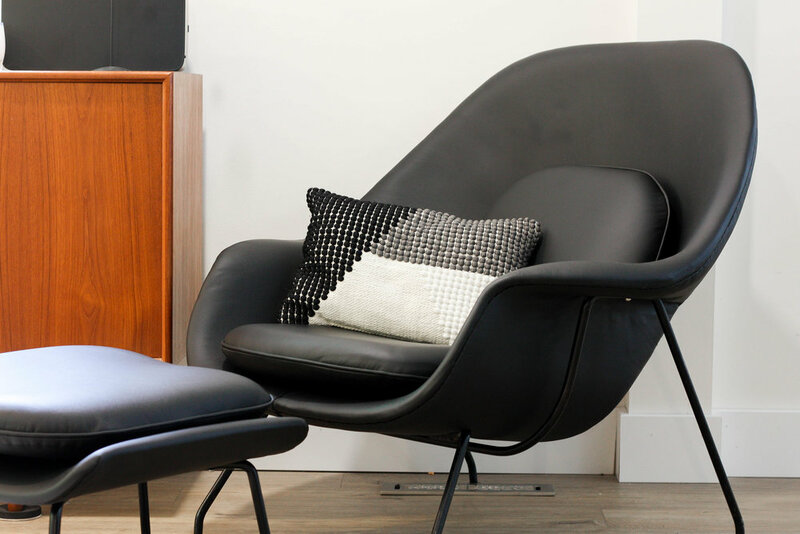 Incredibly rare First Edition Knoll Womb Chair c. 1950s designed by Eero Saarinen. 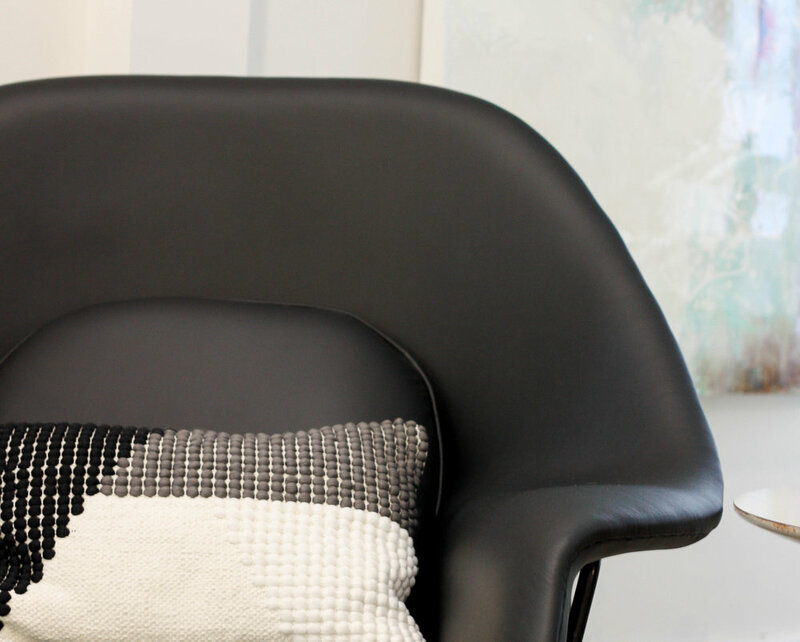 This chair is covered in top grain black leather and is dripping in sexiness. 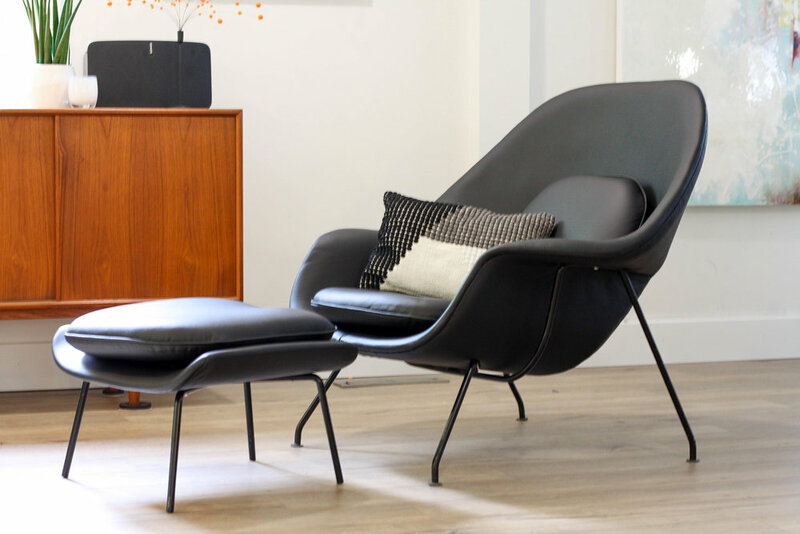 Unlike most other womb chairs that claim to be vintage, this one truly is, as noted by the flat welded feet that are only found on wombs made in the 50's. 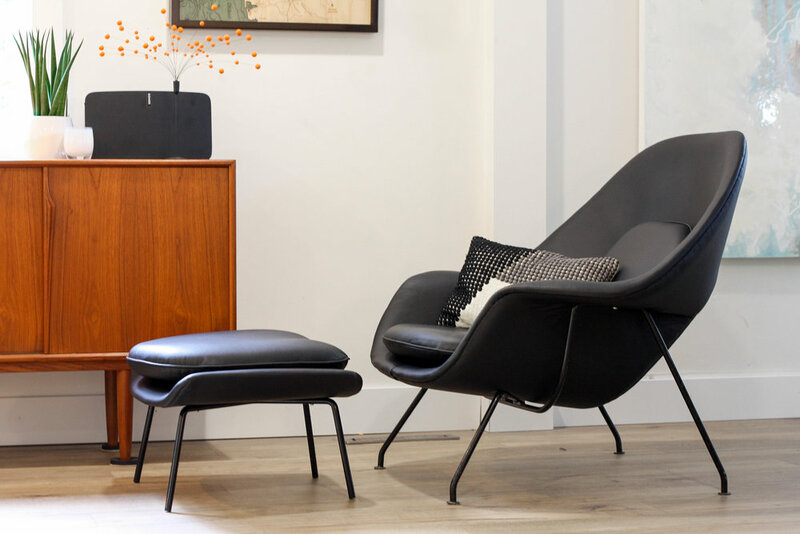 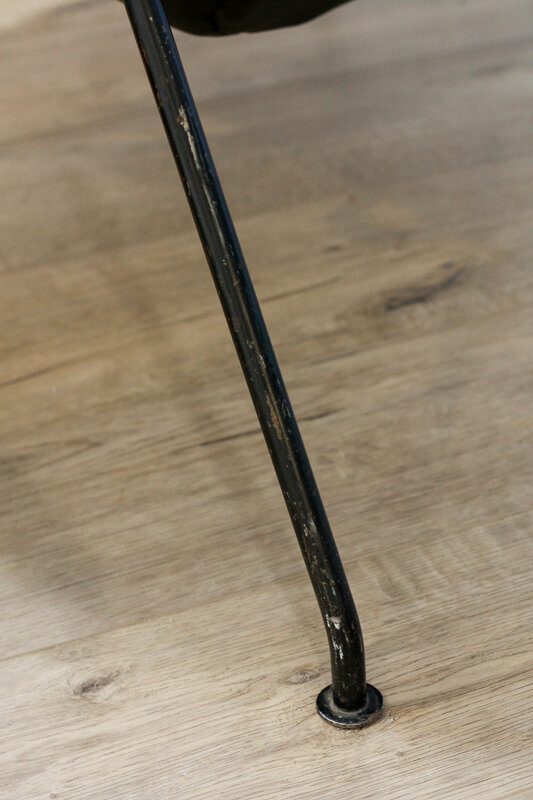 The matte black frame has a nice vintage patina that enhances the overall aesthetic.